I haven’t talked about Civil War II yet, and I can’t put my finger on why. Initially, I was very turned off by the concept of doing Civil War again. Even the title. 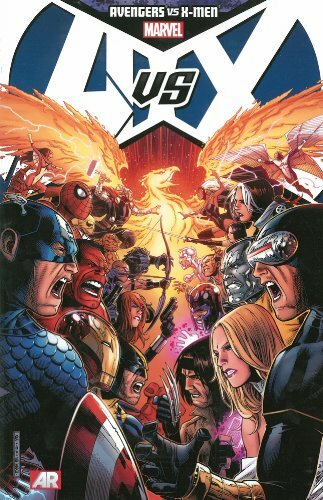 Civil War II. It feels like there should be a subtitle there, doesn’t it? 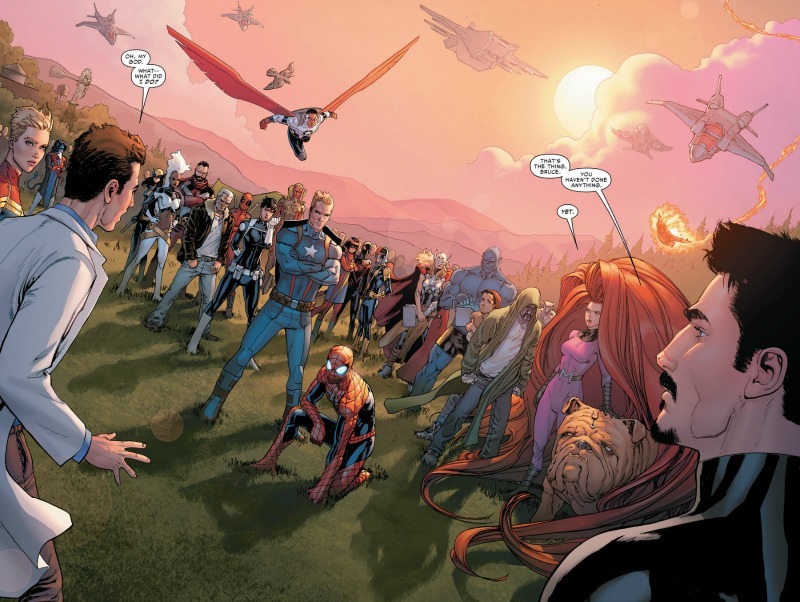 Civil War II: The Secret of the Ooze, or Civil War II: Judgment Day. How about Civil War II: The Legend of Tony’s Gold? But I think the real reason it’s taken me this long is because I was waiting for this thing to get good. We’ve got a compelling story that echoes the real-world issue of police profiling, with virtually every major character in the Marvel Universe involved. As an exclamation point, War Machine was killed off in issue #1. But what we’ve seen thus far, this issue included, has been mostly talk. Obviously not every superhero comic needs to be padded with mindless action, especially when you’ve got a story that hinges on a moralistic issue. But issues #0, 1, and 2 went by feeling unimpactful. Even Rhodey’s death happened off panel, and feels glossed over in this issue. 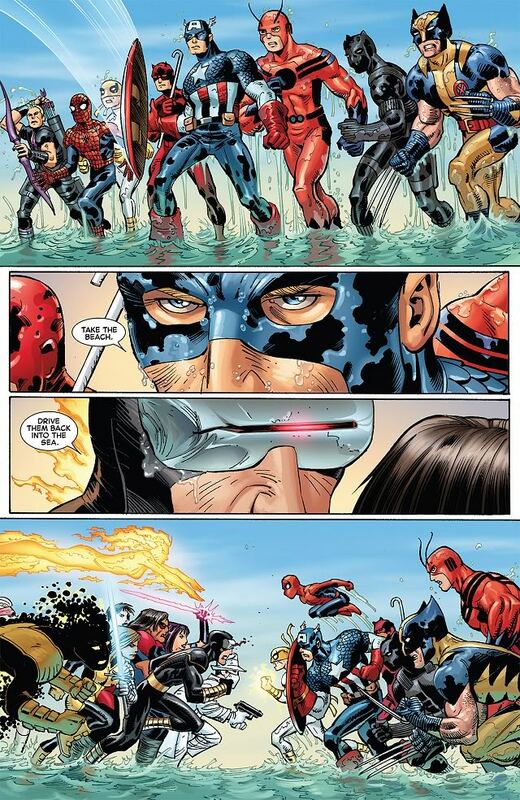 Compare this to what we’d seen by issue #3 of the original Civil War main series. We had our inciting incident, the creation of the Superhuman Registration act, the unmasking of Spider-Man, the unveiling of a prison in the negative zone, our first real fight between the two sides, and what appeared to be the return of Thor. 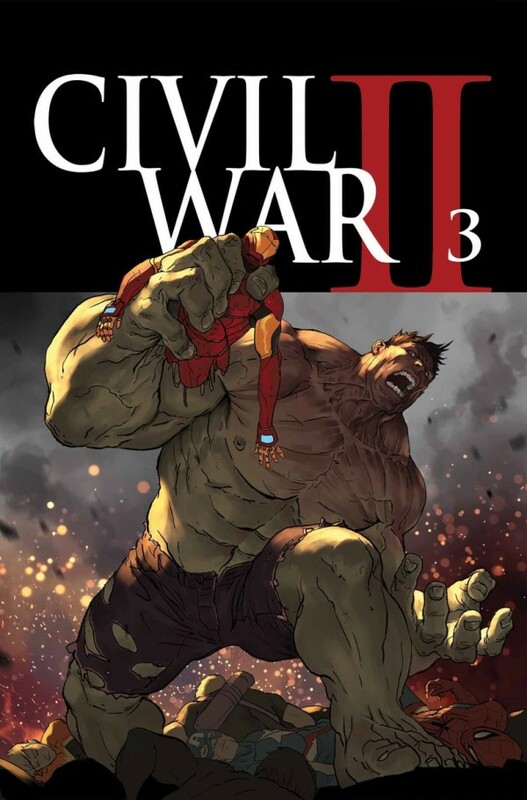 While the central issue in Civil War II is no less poignant, the story feels softer by comparison. As most people reading this likely know, Bruce Banner dies in this issue via a killshot from Hawkeye. Ulysses, a young man who apparently sees the future, has seen a vision of the Hulk on a murderous rampage. 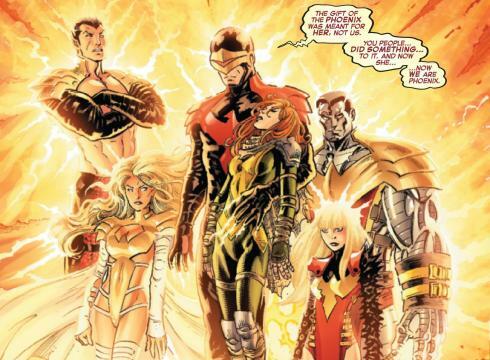 Continuing in her attempts to use Ulysses to stop such disasters before they happen, Captain Marvel leads a who’s who of heroes to apprehend Banner. Acting as the voice of reason is Tony Stark who vehemently opposes these “preventive” measures. As it looks like Banner is about to Hulk out, an arrow goes through his forehead. The issue goes back and forth from the present-day trial of Clint Barton/Hawkeye to flashbacks of the confrontation with Banner. Bends gives the issue a great sense of foreboding. 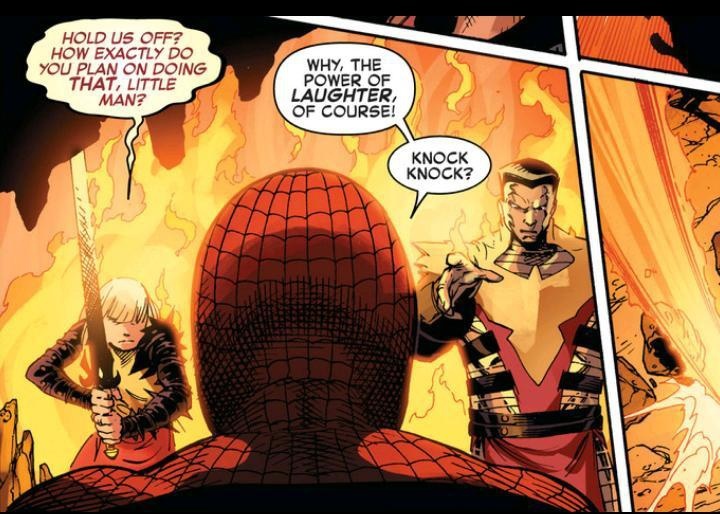 The early dialogue with Banner, Stark, and Carol Danvers feels like an oblivious, and in this case innocent man being led to the gallows. From a writing standpoint, it’s the strongest moment in the book. It’s followed closely by the moment Clint is discovered as the assassin, and he’s simply got his hands out awaiting the cuffs. He knows he’s killed an innocent man, a founding Avenger and a friend no less, and he’s accepted his fate. This group shot at right is awesome. Props to colorist Justin Ponsor for making it pop the way it does. And that sky looks gorgeous. As a Miles Morales fan, I appreciated how our young Spider-Man was peppered in throughout the issue. Bendis, Marquez, and Ponsor worked together on Ultimate Comics: Spider-Man back in the day, so that was fun to see. We even got an appearance from Ganke! 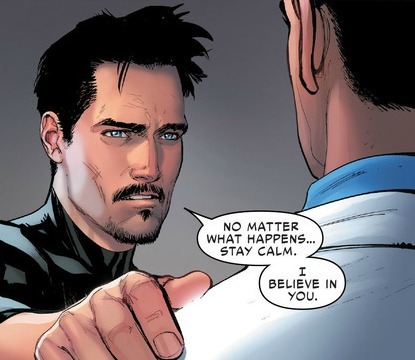 Olivier Coipel tags in midway through to draw a flashback conversation between Banner and Barton, in which the former gives the latter the means to kill him if he ever Hulks out again. Thats another scene where the colors stand out. It takes place in a seedy bar, and the color palette gets darker and feels dirtier. We also see more black in this scene than anywhere else in the issue. It sets the scene perfectly. The verdict is left in the air, in favor of a cliffhanger where Tony and Mary Jane Watson seemingly discover how Ulysses’ visions work. I’m hoping that, combined with the emotional impact of Banner’s death, will finally kick things into high gear. This story feels less like a war, and more like a colorful debate where people are accidentally dying. This entry was posted in Comic Books/Graphic Novels and tagged Brian Michael Bendis, Bruce Banner, Bruce Banner dead, Bruce Banner death, Carol Danvers, Civil War (Marvel), Civil War II, Civil War II #3, Clint Barton, comic book reviews, David Marquez, event comics, Ganke (Marvel), Hawkeye, Hulk, Iron Man, James Rhodes (Marvel), Justin Ponsor, Marvel, Marvel Comics, Marvel NOW!, Miles Morales, Olivier Coipel, Rhodey, Rob Siebert, single issue reviews, Spider-Man, superhero comics, superheroes, Tony Stark, Ulysses (Inhumans), War Machine on 07/14/2016 by primaryignition.